One of the challenges with Alzheimer’s disease and other forms of dementia is that symptoms appear gradually over time. This makes it easy to miss if you aren’t aware of the early signs. 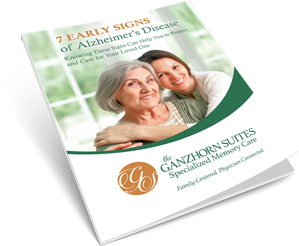 If you suspect that your loved one may have Alzheimer’s disease or another form of dementia, knowing the early warning signs can help you to get them the right care and treatment.